It's that time of year you guys! Base pay is $11.00/hour. Plus – think of the money you’ll save on gas, work clothes, and dining out when you work from home! Seasonal employees may remain with Amazon in a temporary capacity for up to six months, depending on business need. There may be opportunities for regular long term employment. Both full and part time opportunities are available, but hours for all staff increase substantially during our peak season (Thanksgiving through mid-January). A few weeks before and after December 25 is our busiest time. Our Virtual Contact Center is open from 5AM – 11PM Pacific Standard Time. Some level of schedule flexibility is required and expected, as available shifts include days, afternoons, and evenings, typically one or both weekend days, and occasional overtime. If you’re a student, we’ll do our best to work around your school schedule. Flexible schedules are available for those who want the option. You can build the schedule that best matches your personal needs with the coverage we need in order to provide excellent service to our customers! It is highly likely that as a new hire, you’d start off on a late afternoon or evening shift, and will work at least one weekend day. Be able to attend an onsite new hire orientation in Albany, OR. Your home address must be in the state of Arizona. Any applicants with home addresses outside of Arizona will not be considered. Okay people, let me tell you this: Asking for help is not a signal of weakness. In fact, the opposite is true. The people that believe that it's perfectly natural for others to help them achieve their dreams are the most successful people. If we are going to be successful millionaires, we have to get over the our whole "I can do this all by myself" mentality. Seriously, people do not build empires all by themselves. An empire has "people" in it . . . large amounts of people. 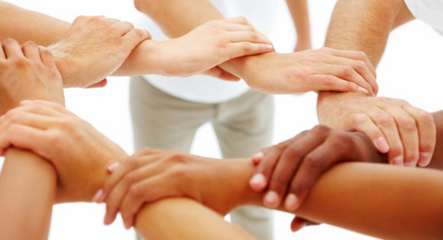 In fact, pulling people together and asking for help from a large group of people is the key to success. People who are building companies, or dreams, knows that relying on people to help is a necessary - correction, a fundamental piece to the puzzle. Successful people do not allow these types of issues to "hold them back" from their goals. UNSUCCESSFUL PEOPLE ISSUES . . .
Issue #1: Because I'm asking for help, I'm broadcasting to everyone that I don't have the ability to do this for myself. Issue #2: If I ask for help, people will laugh at me and reject my pleas and I'll look foolish or stupid. Issue #3: Asking for help is a sign that I don't know what I'm doing and I hate to look unprofessional. Issue #4: People who help me often don't do it the way that "I" would do it. I just hate for anything connected to me to look half-done and unprofessional. I'd rather do it myself. Issue #5: People are generally incompetent. Issue #6: When I ask for help, someone always inadvertently lets me down and I end up doing it myself anyway. HOW TO WORK WITH PEOPLE . . . So, how do you get people to jump on the band wagon? Don't be such a perfectionist, let others do it the way "they" do it - you don't own the rights to "perfection". If you take the above attitudes to heart, this will ultimately help you create a "tribe", a group of people that share your dream and see themselves as a part of your dream -- your vision. You know what makes asking for help much easier? Cultivating people that want to help you achieve that dream. Having trusted friends, colleagues, and people that you know are competent and talented . . . makes it so much easier to ask for advice, or favors, or work or whatever! Now, do you know how to make sure people keep being a part of your tribe and sticking their dreams into the success of your dream? Well you say THANK YOU of course . . . in other works, you pay people for their assistance. And there are so many ways to pay people back for the help they give you. 1. Money (paying for talent, knowledge and skill is always the best way to get the best help). 2. Give people of your "tribe" referrals. Tell other people who will pay or give favor to your "helper" for their talents, skills and experience. 3. Acknowledgement (public and private). For some people, that's all they need. All they want is someone to recognize their efforts. 5. Help them with future favors (an exchange of talent, skills, experience) so they can realize THEIR dreams as well! So now you know the fundamentals to building your empire. When you become emperor of your "dreams come true", don't forget about the little guys who helped you build it, my most powerful and influential friend!